Scars of any size or form are ugly to look at. If the scar is on a visible body part, many people will look for ways to get rid of it as quickly as possible. While scars are hard to treat, you can use honey to lighten them and minimize their appearance. Honey increases tissue regeneration and healing and helps regenerate skin cells. 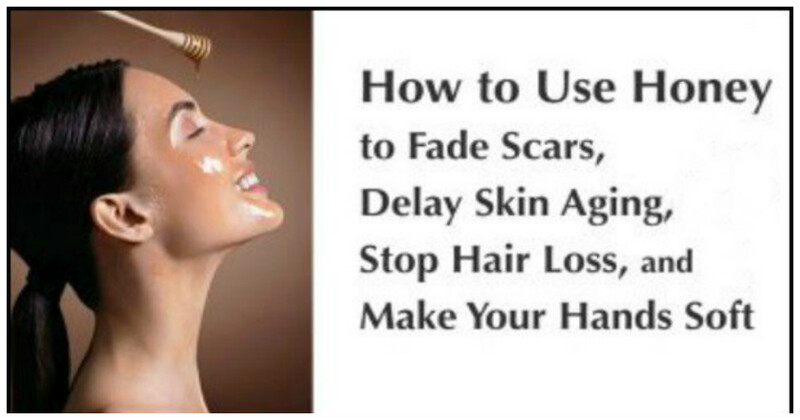 All these factors work together to fade scars. Psoriasis is an autoimmune disease that affects the skin cells. It causes redness, blisters, itching and even lesions. Although honey cannot treat this disease, it can soothe the skin, decrease inflammation and protect damaged skin from becoming infected. Also, it will help relieve the dryness, patching and peeling away of the skin. A 2003 study published in Complementary Therapies in Medicine states that topical application of a natural honey, beeswax and olive oil mixture of equal amounts is beneficial in the management of psoriasis vulgaris as well as dermatitis. Apply some honey on the affected area, then leave it to work for half an hour and rinse with lukewarm water afterwards. You can also make a mixture of 1 tablespoon of honey and half a tablespoon of cinnamon, then apply it on the area and wash it off after 5 minutes. Being a good source of antioxidants, honey preserves your skin from cell damage due to free radicals. Free radicals stimulate the aging process and may contribute to wrinkles, fine lines, crow’s-feet and even sagging skin. Mix equal amounts of raw, organic honey and fresh lemon juice. Allow it to dry on its own, then rinse it off with lukewarm water. Use this anti-aging skin treatment once or twice a week. Just rub a small amount on the dry patches and leave it to work for 10-15 minutes, then take a shower and apply a moisturizer afterwards. You can also mix some honey and glycerin, then apply the mixture on your hands and let it dry. Those who are concerned about hair loss can try honey to prevent baldness. It has antioxidant as well as antimicrobial and antifungal properties that stop hair loss and stimulate hair growth. Mix together 1 tablespoon each of honey and onion juice. Massage your scalp and hair roots with this mixture.